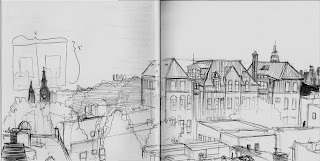 June 09, 2008 in "landscape", "sketchbook", "weekly entry"
Here is the second installation of my weekly entries. It was really difficult to not put a UFO or a monster ravaging the landscape in this one. Enjoy!